Are you out of school or don’t have enough credits to graduate from your current school? If you are between the ages of 16 to 21 consider Latino Youth High School. Our accelerated program will allow you to acquire the credits you need to earn your high school diploma. 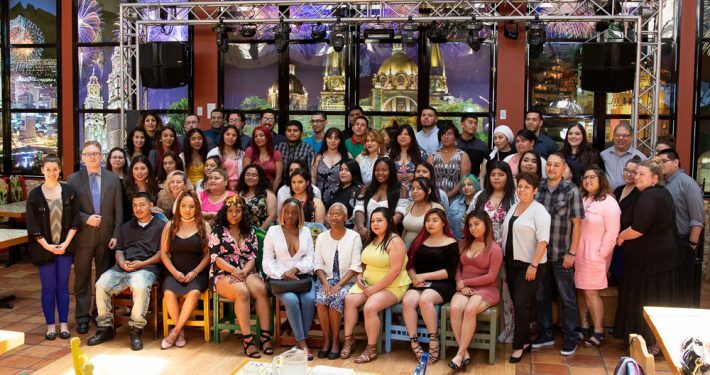 Latino Youth High School (LYHS) accepts applications from youth 16-21 years of age who reside within the city of Chicago. All applicants must have graduated from the 8th grade and must be able to complete all graduation requirements before their 22nd birthday. Students can graduate at the end of either the fall or spring semester. The length of time necessary to meet graduation requirements varies for each student according to the number of credits they have already obtained. LYHS challenges students with rigorous academics and relentless support so that they can recast themselves as resilient, empowered adults who will succeed in high school, college, and beyond. Here are a few frequently asked questions by students looking to enroll.